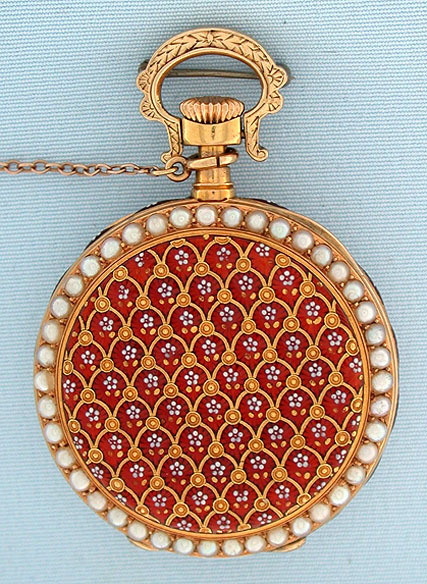 Fine and beautiful 18K gold, pearl and enamel ladies antique pendant watch by Patek Philippe retailed by Tiffany & Co., circa 1889. The case band and back in vivid red enamel enriched by gold designs. Pearl bezels. 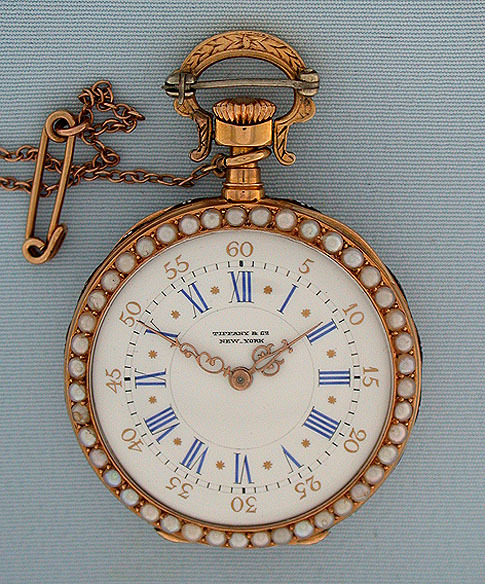 White enamel dial with blue and gold numerals, gold designs, and fancy gold hands. 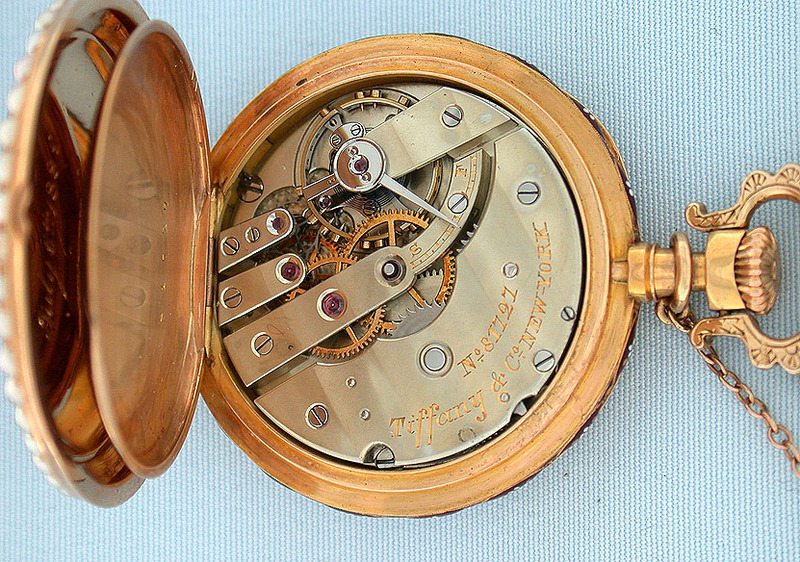 Fine 18 jewel damascened movement with wolf's tooth winding. 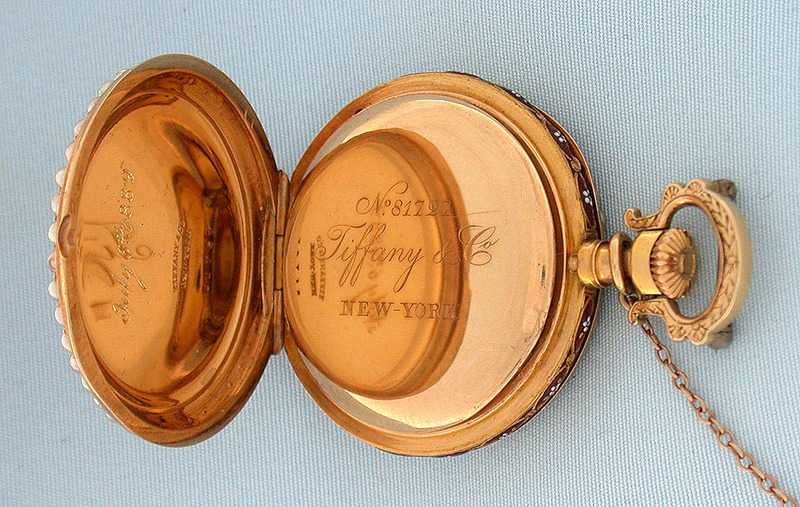 The case, dial and movement signed Tiffany & Co. With certificate from Patek Philippe. 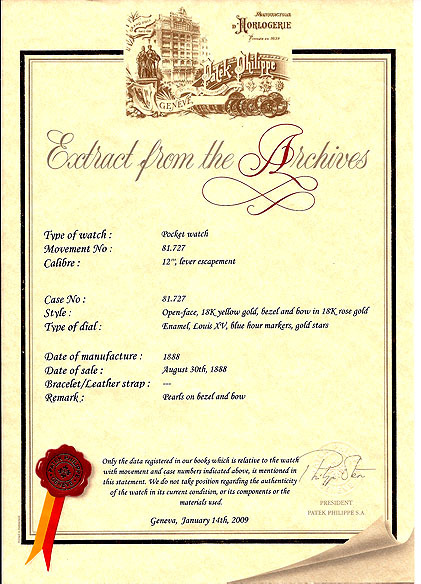 A particularly beautiful watch.